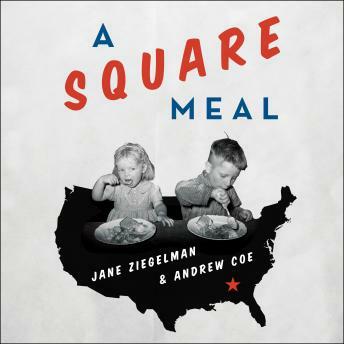 The decade-long Great Depression, a period of shifts in the country's political and social landscape, forever changed the way America eats. Before 1929, America's relationship with food was defined by abundance. But the collapse of the economy, in both urban and rural America, left a quarter of all Americans out of work and undernourished-shattering long-held assumptions about the limitlessness of the national larder. In 1933, as women struggled to feed their families, President Roosevelt reversed long-standing biases toward government-sponsored 'food charity.' For the first time in American history, the federal government assumed, for a while, responsibility for feeding its citizens. The effects were widespread. Championed by Eleanor Roosevelt, 'home economists' who had long fought to bring science into the kitchen rose to national stature. Through the Bureau of Home Economics, these women led a sweeping campaign to instill dietary recommendations, the forerunners of today's Dietary Guidelines for Americans. At the same time, expanding conglomerates introduced packaged and processed foods, which led to a new American cuisine based on speed and convenience. This movement toward a homogenized national diet sparked a revival of American regional cooking that continues to this day.